Protect sensitive species at Timberline! Have you heard about the proposed Timberline Mountain Bike Park? In 2010, RLK, the company that operates the historic Timberline Lodge and ski area in Mt. Hood National Forest, proposed to build a 17-mile lift-assisted mountain bike trail system. Construction has yet to begin and recently the Forest Service asked the public whether it should analyze the proposed Bike Park’s impacts on the sensitive Western Bumblebee and threatened Lower Columbia Steelhead based on new information it has received. We say “of course!” Why wouldn’t the Forest Service evaluate impacts to these sensitive and threatened species? What do you think? The public comment period ends on October 31st--send in your comments today! For years Bark has advocated for more bike access in Mt. Hood National Forest through road to trail conversions, only to have proposals rejected because the Forest Service budget has money to plan logging but not to support recreation (in 2015 it spent about twice as much on logging as recreation). Bark has also partnered with mountain bikers to protect the popular Dog River trail from logging impacts, and is advocating for a new recreation area that will provide responsibly located trails for mountain bikes. However, the Timberline Bike Park is different. It would erode fragile alpine soils above the headwaters of Still Creek and harm threatened salmon and steelhead that depend on its cold clean water. Without further environmental review, it is also possible that the proposal would hurt sensitive bee populations. 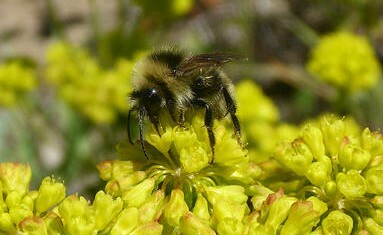 Please ask the Forest Service to evaluate the impacts of the proposed Timberline Bike Park on bees and fish. Please also support our allies in the mountain bike community in asking the Forest Service to shift its spending on logging Mt. Hood National Forest to funding for better quality recreational opportunities—including free and accessible biking.